There are now in the neighborhood of 700 wineries in Washington, and in the past few years we've seen a sharp increase in urban wineries in the Seattle metropolitan area. Joining long time stalwarts like McCrea Cellars and OS Winery are loads of newer wineries. No one though has really tried to brand themselves or their wine with Seattle in mind until last year, when 509 Wines, released their Cotes du Fremont Rose and they nailed it with a brilliant branding idea. (Not to mention the slick design has shown up on design blogs all over the place.) 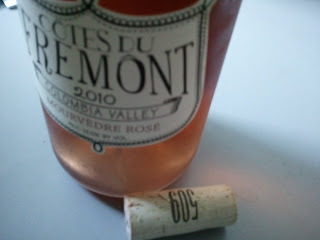 509 is reshuffling their wine deck and will be changing it up on their current and former varietals and we'll have more on that later. Lions and Tigers and Wine...Oh My!